Cargotec, the world's leading provider of load handling equipment, will showcase its load handling expertise at CTT Moscow - the leading construction equipment and technologies event in Russia, the CIS and Eastern Europe. The exhibition will run from 31 May - 3 June in Moscow, Russia. road, in ports and at sea. Based on an unbeatable range of products and services and our mutually complementary brands, we can provide the customer with more than our competitors. Cargotec operates in 120 countries and employs approximately 10,500 experts around the world. Our size makes us a reliable, professional partner supporting our customers throughout the product life cycle. The environmental friendliness of our products is also guaranteed through their durability. Hiab is the global market-leading brand in on-road load handling solutions, offering the market's largest product range for moving, lifting, loading and unloading products, goods, or raw material carried by vehicles. The product range includes Hiab loader cranes, Hiab Multilift demountables, Hiab Loglift forestry cranes, Hiab Jonsered recycling cranes, Hiab Moffett truck-mounted forklifts and Zepro tail lifts. 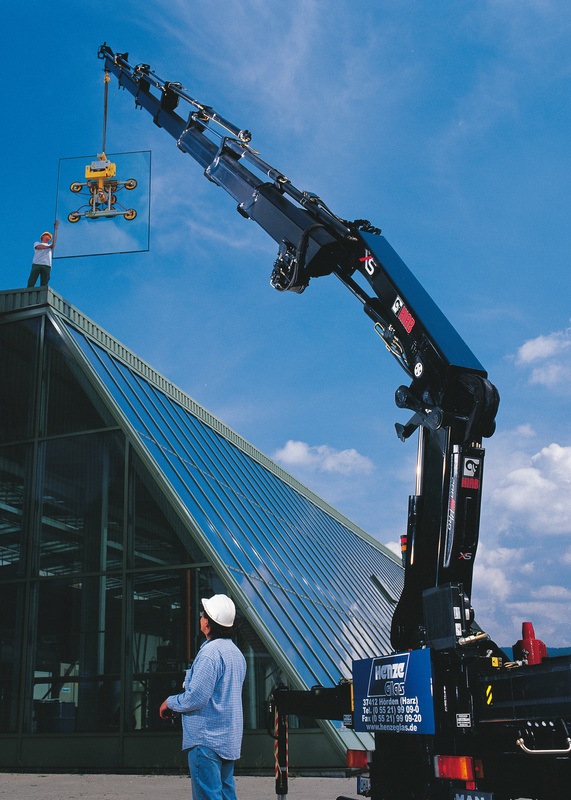 Designing cranes for rough and tough operation is one of Hiab's hallmarks. At CTT Moscow, Cargotec focuses on solutions for the construction industry. The Hiab XS 288 crane gives the best possible performance in terms of reach and lifting capacity. Its solid boom construction makes it very suitable for jib requirements. The Hiab XS 288 enables different boom configurations, as well as the capacity level and control system technologies that are ideally suited to any business and material handling needs. At CTT Moscow, the Hiab crane on display is equipped with the Duo control system that gives an extra boost of capacity and improved productivity. This is because the control system features a function called Automatic Duty Control (ADC), which senses the job being done. A Duo crane comes with a Space 3000 control system, and it complies fully with current Russian safety regulations. As all safety features are built-in on Duo cranes, our partner companies can do the installation work faster, without the need to equip the loader crane with a spirit level or a sound alarm, for example. All functions are tested before the equipment is dispatched from the factory. A light truck equipped with the Hiab Multilift XR 5S hooklift maximises versatility. It masters all demountable body handling tasks - loading, unloading and tipping - with ease and exceptional safety. The XR 5S hooklift has a lifting capacity of 5 tonnes, but in terms of productivity it more than pulls its weight. Hiab Multilift XR5 demountables can be installed both on Russian and foreign trucks. Cargotec's expert solutions are in place all over the globe working to improve the flow of cargo. We keep cargo on the move(TM) is our promise to customers. It's what drives our business and guides our behaviour. We invite you to see for yourself how we put this promise into practice. Please visit us at our stand at CTT Moscow: No: 4-340, Pavilion 1, Hall 4. Hiab is the global market-leading brand for on-road load handling solutions. Customer-driven Hiab on-road load handling products and solutions are utilised for moving goods and materials on the road - for example, at construction sites; in forests, industry, waste handling and recycling; and by the defence forces.